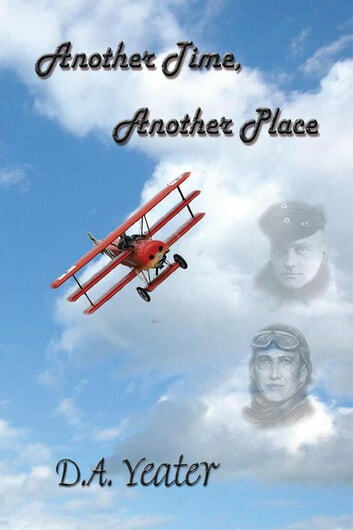 Another Time, Another Place is about an ordinary man, who, through a skydiving accident, is transported back in time and finds himself in 1916. He doesn't know quite how he got there or how to get back to his own time. So he must make the most of his situation. He arrives there less than one year before the United States enters the war. 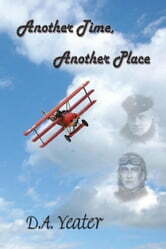 He meets several soon-to-be great men of early aviation. With the knowledge of late twentieth century technology, he persuades them to build a lightweight engine and a small fighter plane to help the United States and the Allies win the war sooner. He meets Elizabeth Stuart, and events make Hugh Ericson uncertain about his future. He doesn't know if he will stay and live out his life there or whether he will return to his time, even if the opportunity arises. He doesn't get the chance! Stephen Coonts Books in Order: Jake Grafton series, Tommy Carmellini series, Saucer series, Deep Black series, all short stories, standalone novels, and nonfiction, plus a Stephen Coonts biography.